For those of us still recession-stricken, or just those who don't have luxury of forking out a few grand for a single seat at the Super Bowl XLV in Dallas, many places around D.C. will be hosting viewing parties for the less fortunate. My Green Bay buddies and I have decided to watch the Super Bowl at the Mighty Pint, which is, in my opinion, Washington's "best-kept secret" pub. The Pint was born on 1831 M St. N.W. in 2009, after the Madhatter died and went to Connecticut Avenue. For anyone who is into totally decadent bar food like ooey-gooey mounds of nachos, cheese steaks that require two steady hands, this is heaven. And if you're a Steelers fan, it's the closest you and the other hundreds decked out in black and yellow will get to utopia. They don't call it the Mighty Pint for nothing. The pints are indeed mighty, but thankfully the prices aren't. And for those who don't fancy brewskis, they offer select wines by the pint too. Bottoms up. Of course, the Pint is sure to be flooded with big bad Steelers fans, so unless you like to go up against Goliath like I do, you might want to find a place less mean and more green. Try Duffy's (2106 Vermont Ave N.W.). The Green Bay-friendly restaurant and bar is a staple in the Shaw area. 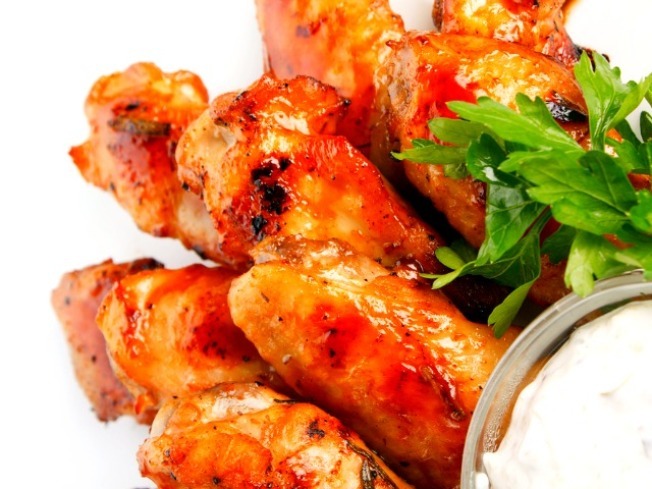 City Paper readers voted Duffy's wings the best in D.C. three years running. They've got 50- something inch flatscreens practically bannering every wall, great drinks and perfectly cooked chicken wings drenched in whatever flavor and temp your tastebuds desire. "The only thing this place is missing are girls in tiny orange shorts and white tank tops," said Shaw resident Brian Phillips, who recently came to terms with his addiction to the famous charbroiled Chesapeake wings. "Other than that, what more can you ask for?" Phillips proudly admits he will prolong his love affair with Duffy's Old Bay dry- rubbed delectables again on Super Bowl Sunday. For $10, Duffy's is offering unlimited wings and hot dogs to all of its party goers. Tickets must be purchased in advance at DuffysDC.com. Arrive by 5 p.m.